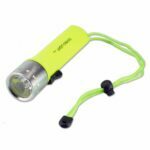 This torch adopts CREE XM-L T6 LED, maximum output brightness can come to be 1200Lm. 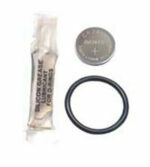 Internal wiring adopts high efficient booster circuit and utilize batteries to the largest extent. With fashion design, delicate manual work. 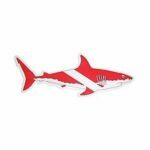 perfect item for personal use or as a gift. A good diving waterproof flashlight up to 50 meters submerged, perfect for diving. T6061 Aviation aluminum alloy, military regulations III anodized CNC , IP VIII waterproof level. Ultra-deep trench structure, support skid-proof effect. 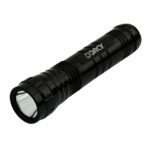 The body of this flashlight is built of aircraft-grade aluminum alloy. Hard-Anodized finish; Anti-abrasive; Hard oxidation; free-scratch, shock-proof, with a very solid construction. Model of LED: CREE XM-L T6 LED. Luminous Flux: Maximum output brightness can come to 1200 lumens. Material: Aluminum alloy casing, avoid high temperature, anti fall-off. Power Source: 3 x 1.5V LR14 Battery (Not Included). Working Voltage: 3V ~ 4.2V. – Diameter of Body: 33mm. 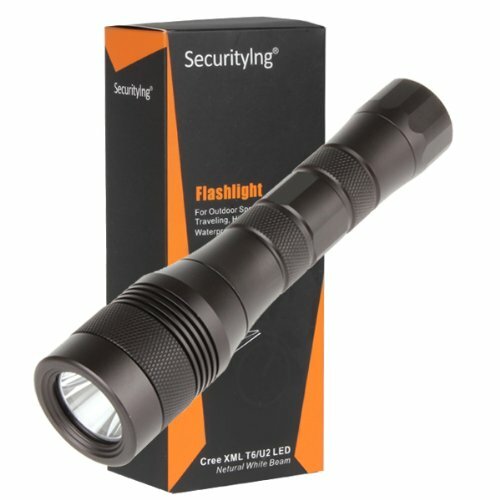 1 x SecurityIng® 1200Lm CREE XM-L T6 LED Diving Flashlight.